Board members are concerned about how active involvement in fundraising would affect personal and professional networks. Do any of these barriers to fundraising exist for your CDFI? What strategies have you employed to address this? 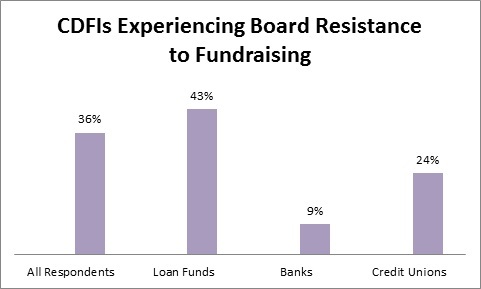 Next week on the blog we will share data on what other CDFIs are doing to engage their boards in fundraising.